With the Pink Floyd Logo 2-Sided 600-Piece Shaped Puzzle, you get two puzzles in one - two awesome puzzles! 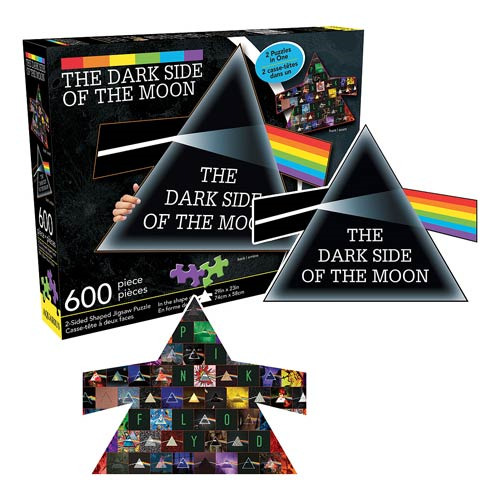 Shaped like the Dark Side of the Moon logo and measuring 29-inches x 23-inches, one side features the classic image, while the other side is a multicolored collage of imagery images. Ages 14 and up.